Detective Bill Daniels has spent the last 40 years in the interrogation unit. Some are criminals, some are victims. Faced with the truth, some lie, some are defiant and some find redemption. Coming 2017. Directed by Dan Hewitt Owens. 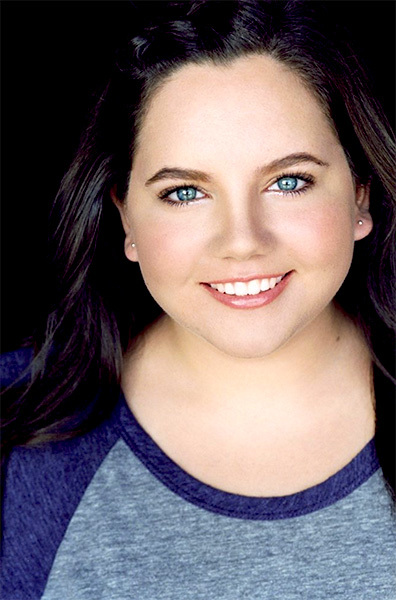 Texas born Danni Tamburro is a lively 22 year old young actress who recently filmed a feature film, “Color Me You”, directed by Marco Bottoglieri for release next year. She is currently filming an independent film “Project Puppies For Christmas” with John Ratzenberger in a touching holiday movie. She filmed her first movie playing the daughter of an abusive Tom Arnold in the independent film, “1 Interrogation”, for release in 2017. The Director was so impressed with Danni’s emotional depth of the character that he cast her in two additional productions, “1 Dark Night” and “#am/pm”. She has also completed the pilot for a TV series, “What Happens in Vegas”, a hidden camera prank show featuring Danni as one of the hilarious improv actors. Danni is no newcomer to show business as she has been appearing in TV commercials since she was a year old! With several small parts in TV including Showtime’s hit “Shameless” and some theatre under her belt, Danni is ready to make a name for herself in TV and film. In her spare time Danni volunteers at Children’s Hospital in Los Angeles working with the siblings of terminally ill children in a program called “Shine on Siblings”. Danni loves to sing and write her own music, is a first class equestrian and is devoted to her puppy! Use the Submit Form below to contact Danni Tamburro. You may also follow Danni on her social networks.